Graduation symbolizes an independence for most students, but it may also be true for their parents.Parents who stay married for the sake of their children may see graduation as the prime time to get a divorce. 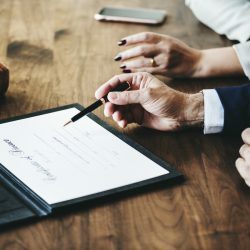 But announcing your divorce at your child’s high school graduation may not be healthy for your children, said Robert Emery, Ph.D., professor of psychology, and director of the Center for Children, Families, and the Law, at the University of Virginia. Dr. Jay Granat, a psychotherapist from New Jersey. He said the couple needs to evaluate the pros and cons. Our online divorce solution could save you thousands. Take our short quiz to see if you qualify. “Then, it becomes all about the timing,” Granat said. “If parents decide graduation is the finish line for their marriages, then tell the children when they are still home for the summer. It will give them at least three months to get used to the idea before they go to college. Telling the kids when they are at school and adjusting to freshman year, that’s a bit much,” Granat said. “Waiting for the empty nest is a symptom of the broad idea among divorcing parents, of trying to make the marriage workable for the sake of the children,” said Amelio D’Onofrio, Ph.D., a licensed psychologist from New York City, and clinical professor and director of the Psychological Services Institute in the Graduate School of Education at Fordham University. “But deciding to end the relationship at the soonest possible moment at the end of that stretch, such as graduation time, might not be the best idea,” he said. “It speaks to the larger issue of parents who decided to stay together for their children and waiting for the appropriate time for their children, although it sort of has a hostile intent to it, in putting the child in the middle,” D’Onofrio said. “Even though parents are trying to save their children from the hard feelings of divorce, D’Onofrio said, separating at graduation time can still be disruptive to families in very serious ways. Although the children are older, and the moment may seem opportune to parents, it is still unsettling to the children,” he said. “Graduation should be a time of pride and praise for children, making it a less opportune time to disrupt the family dynamic, D’Onofrio said. To introduce it at the point seems to take away from the child,” D’Onofrio said. Michele Bush Kimball has a Ph.D. in mass communication with a specialization in media law. She has spent almost 15 years in the field of journalism, and she has taught journalism at American University in Washington, D.C. She recently won a national research award for her work.She regularly writes stories for divorce360.